It’s a story too fantastic and strange for fiction. Have you heard of Rodriguez? If you are from the United States, probably not. Are you from S. Africa? He was bigger than Elvis Presley. Last year’s BAFTA Documentary Film and Oscar winner for Best Documentary went to a feel-good love story between a nation and a man on the other side of the world who had no idea he was their icon in music. 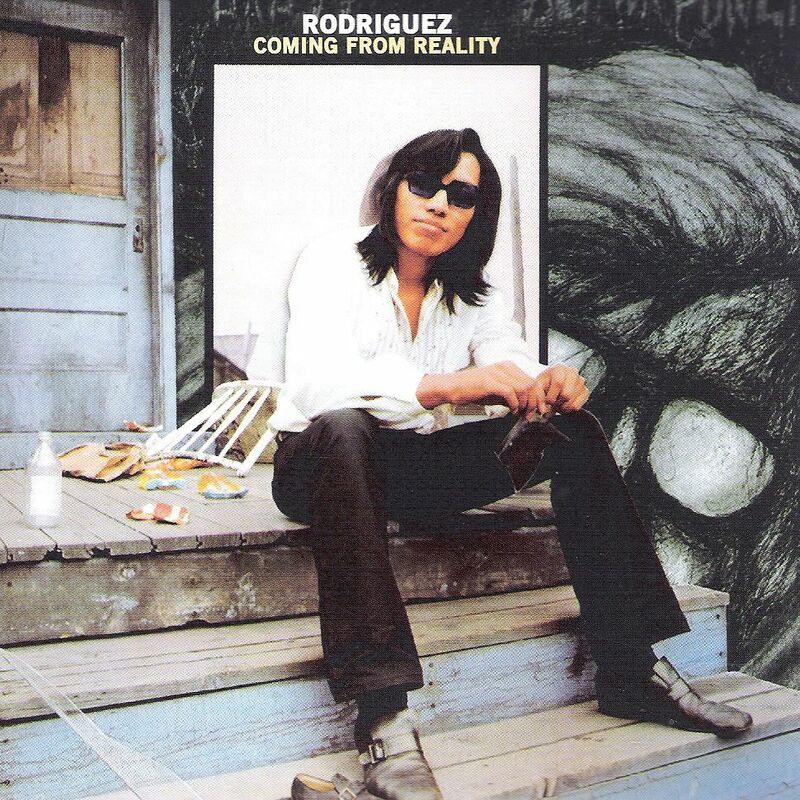 In the late 60s, folk singer Rodriguez, played in the depressed area of Detroit, his voice tenor and smooth. Somewhat like Bob Dylan, in his lyrics Rodriguez punched out the truth of oppression and created the climate of the poor. He sang about the corrupt government or sang ballads of love. He secured a record recording from Sussex Records in 1970, Cold Fact and in 1971, his second album, Coming From Reality were both commercial disasters. Thinking his music career was over, Rodriguez lived his life playing his guitar recreationally, content as a hard laborer, poor in Detroit. Meanwhile, someone boot-legged his album in the early 70s to censored, apartheid South Africa. For Afrikaners, the record spoke to them and Rodriguez’s popularity soared. While the documentary focused on his South African fame, he was also quite popular in Australia–all unknown to Rodriguez. The documentary is about two fans in South Africa who in the 1990s, decide to solve the mystery surrounding their legend. Assuming he was dead, the shock of finding Rodriguez alive in Detroit is the fascinating part of the story. While you wait for the Oscars, if you missed this one from last year like me, check it out. It’s an uplifting documentary–that’s rare–and don’t forget to listen to the music. I never did see this one, but did intend to change that. Now you’ve reminded me of that intent. On the list it goes. Hi Mikey 🙂 Yeah, I love the colors. It would be a great poster on a wall. Great film, really loved it. Rodriguez was actually moderately successful out here in Australia as well. No where near as much as South Africa, but he was well known among muso heads and toured on occasions. Sorry I missed your comment! Yes, I heard as well that he was popular in Australia. I am amazed with the story. HOw crazy to think for decades your dream didn’t pan out only to find out that you were idolized across the world? I loved the story. I saw the trailer, bought the CD, fell in love with the music, and yet I still haven’t gotten around to seeing this. LOL Paul! You sound just like me. It took me a year to sit down and watch it. Well worth the wait. :) I hope you like it as much as I did. It’s a good story that I definitely appreciated for the first or so hour. But once we actually got to see this Rodriguez, things felt a bit awkward and I didn’t like how the directors practically screwed around with time in a way to manipulate us and create more emotional fireworks. Don’t get me wrong, it’s a good documentary, but it does stab itself in the eye at the end and didn’t work perfectly for me. Nice review Cindy. I’m hoping to see this one at some point, Cindy. It came highly recommended from a former colleague, glad to see you vouch for it as well. I still haven’t seen this! I am South African and we absolutely grew up with Rodriguez. I was baffled to realised when I left South Africa that no one else had ever heard of him. He is our Bob Dylan! I’ve lived in the UK for almost 10 years but I grew up in South Africa. I’ve been meaning to watch it for ages but something else always gets in the way. Amazing … looks like my kind of thing. I heard about this film, but haven’t watched it yet. Thanks for the reminder. I own a copy of this and have done for ages, Cindy, yet I’ve never gotten around to watching it. I really should get on that. Thanks for the reminder.